Can McDonald’s Keep Its Mojo After the All-Day-Breakfast Hype Fades? Consumers are lovin’ McDonald’s all-day breakfast, to the tune of surging sales for the brand, but how long can the party last? The effort, which included a social media-themed ad campaign by Leo Burnett, launched to much fanfare in October and so far has helped reverse the fast-food chain’s sagging fortunes. 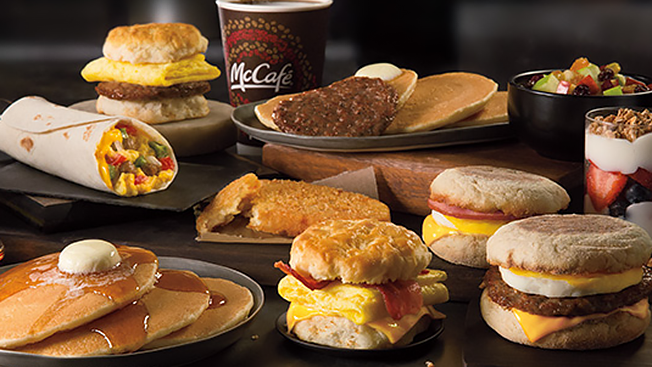 This week, McDonald’s announced that its fourth quarter comparable U.S. sales increased 5.7 percent due, in large part, to the launch of all-day breakfast. According to research firm NPD Group, the percentage of McDonald’s customers who ordered breakfast at the chain grew from 39 percent prior to the launch to 47 percent afterward. And over the past two years, breakfast has been the strongest growth segment for QSR brands overall, with sales rising in the 3 percent to 4 percent range. “Taco Bell and Subway entered the breakfast market, and there have been a lot of specialty innovations that have driven morning meal growth. Everyone wants to take advantage of that opportunity because it’s such a huge part of market share,” said Bonnie Riggs, restaurant industry analyst at NPD. McDonald’s president and CEO Steve Easterbrook, who took the helm in March 2015, has executed a turnaround plan for the company that includes a simpler menu and faster service. In May, the chain pared down menu items to speed up order times. The brand’s focus on value, in the form of offerings such as its McPick 2 menu, which allows customers to choose two menu items (McChicken sandwich, double cheeseburger, small fries or mozzarella sticks) for $2, also was credited for increased sales in this week’s earnings call. This entry was posted on Monday, February 8th, 2016 at 2:35 pm and is filed under Advertising, Breakfast, Consumer, Fast Food, Financial Activity, Growth, McDonald's, Millennials. You can follow any responses to this entry through the RSS 2.0 feed. You can leave a response, or trackback from your own site.